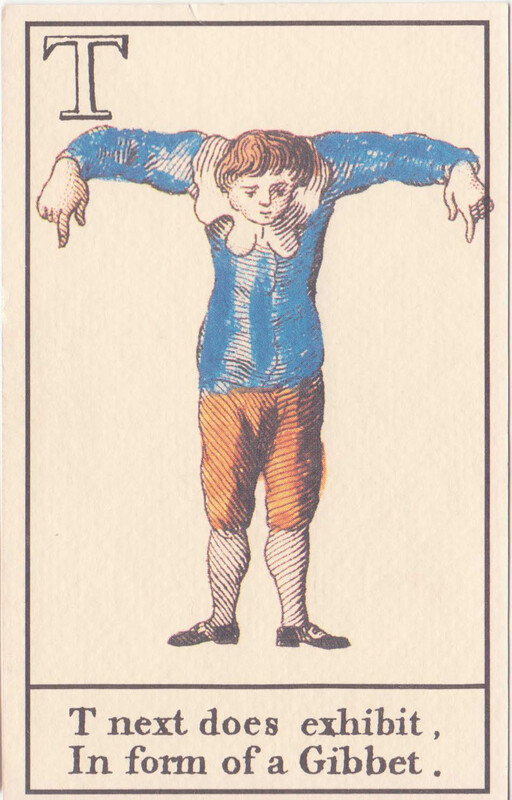 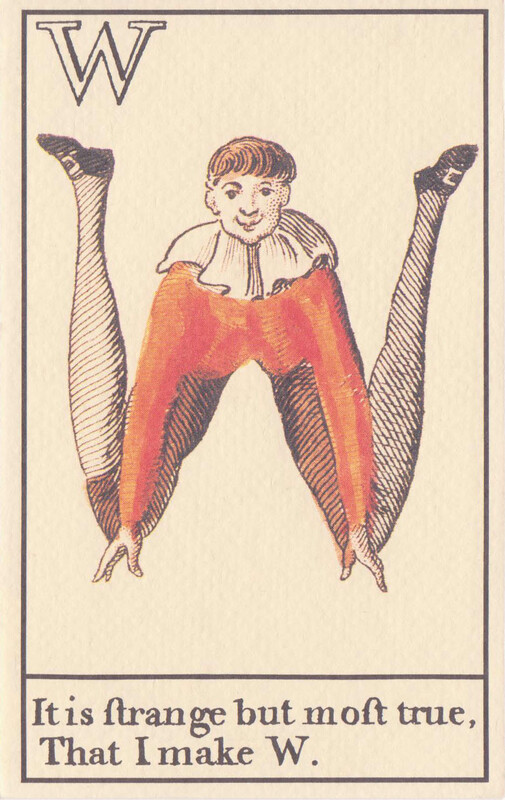 in the eighteenth century, alphabet cards provided an entertaining way for children to learn their letters. 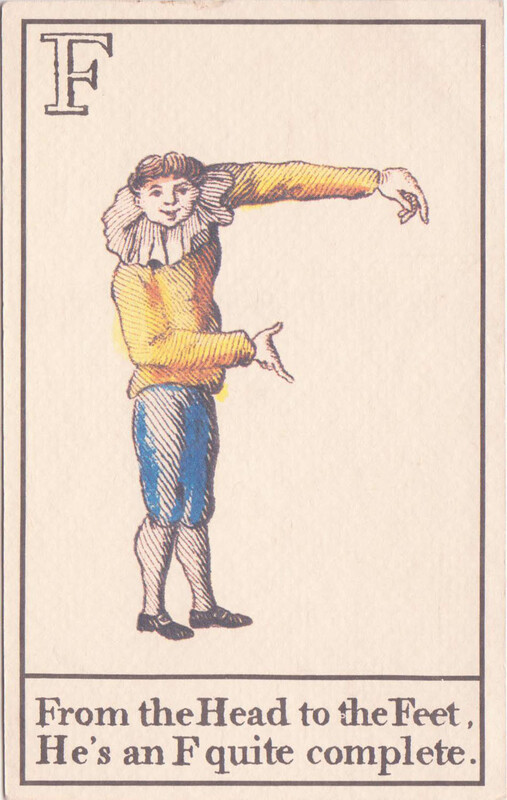 educational cards were used to teach everything from mathematics and grammar to astronomy. 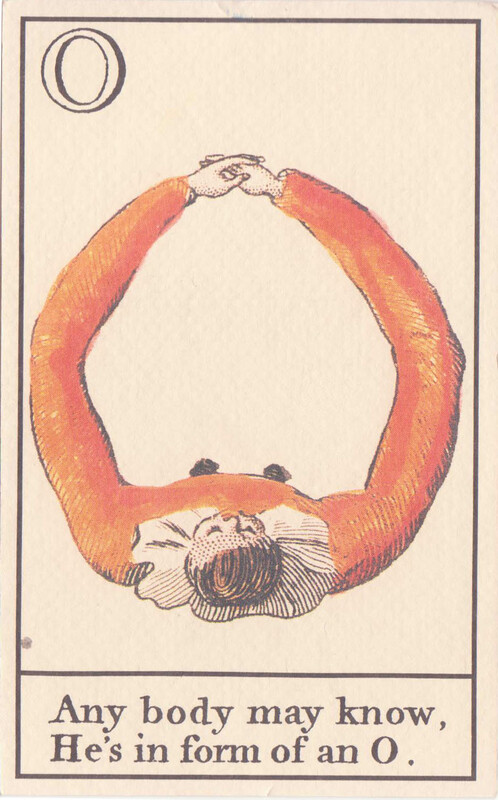 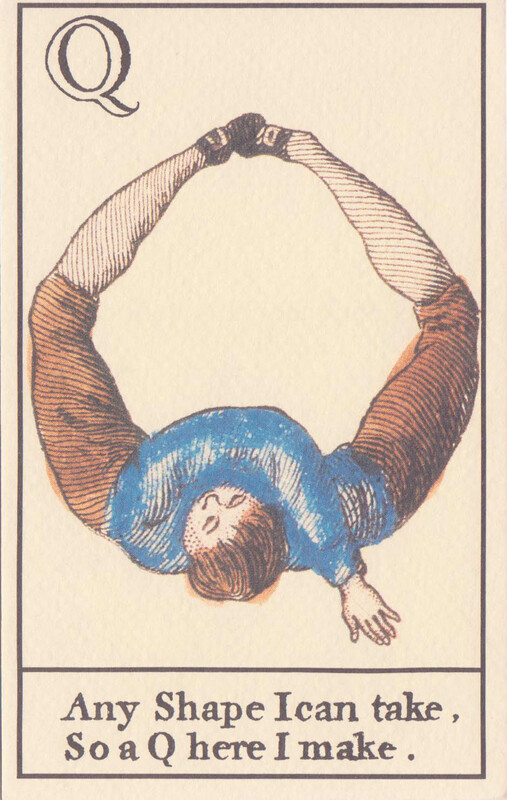 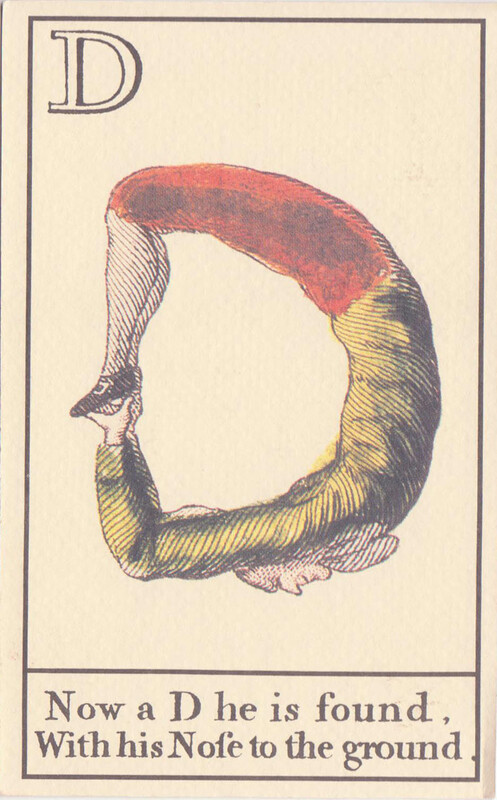 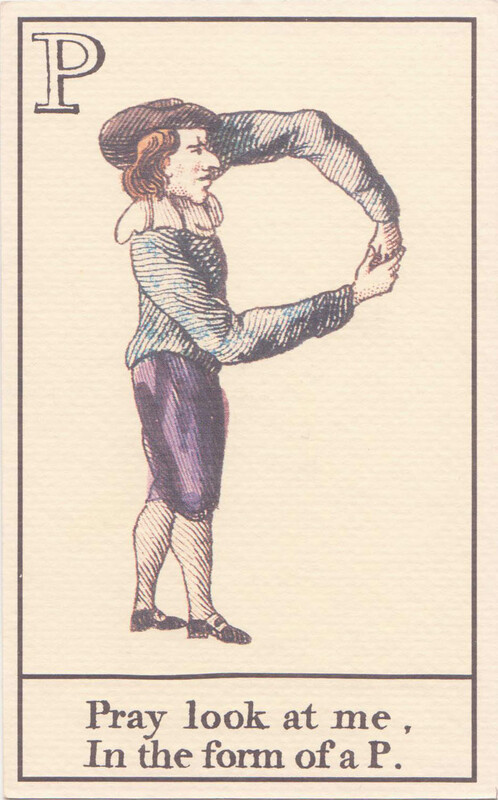 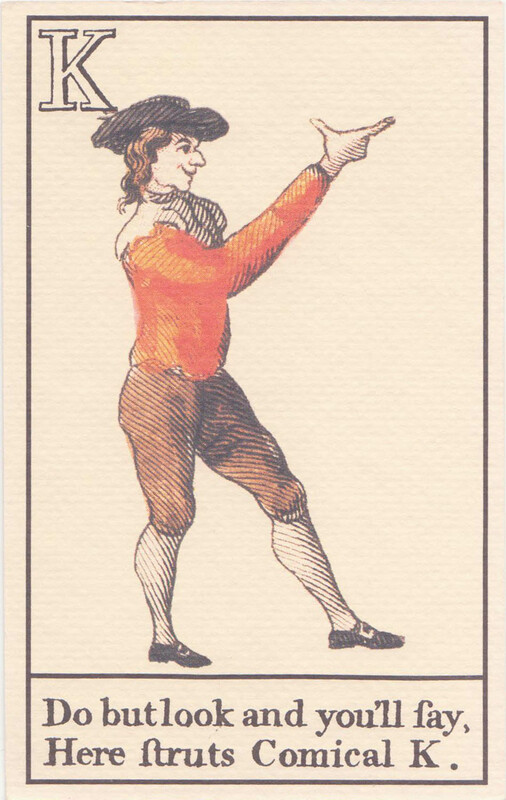 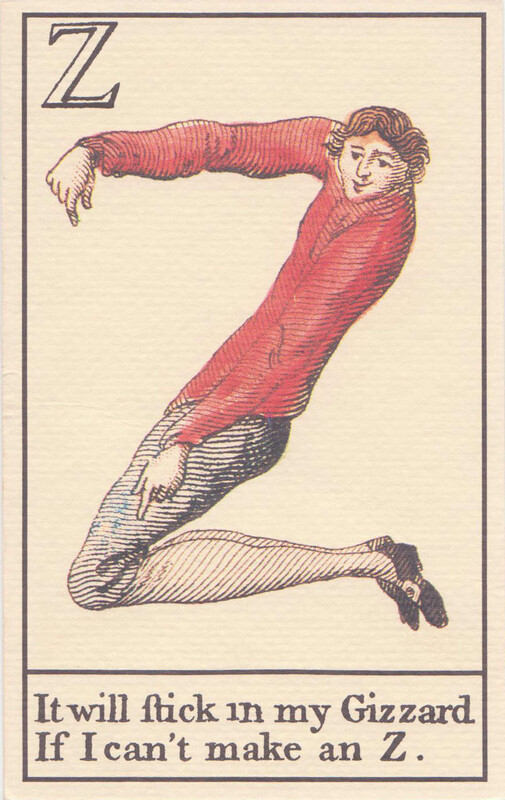 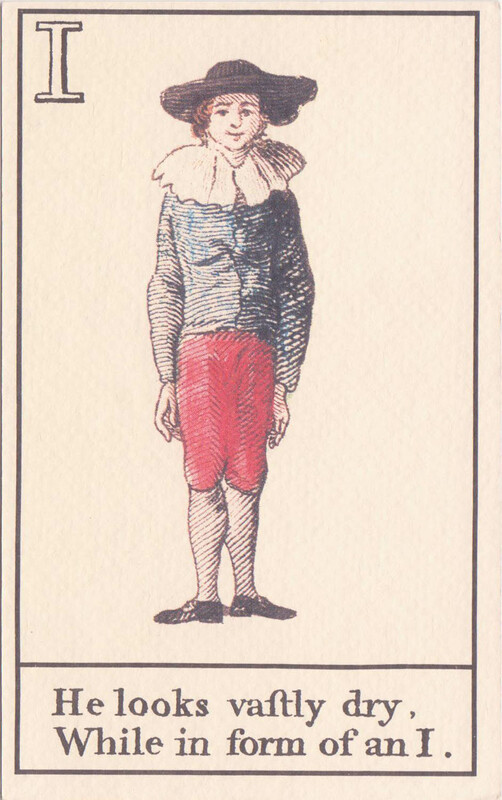 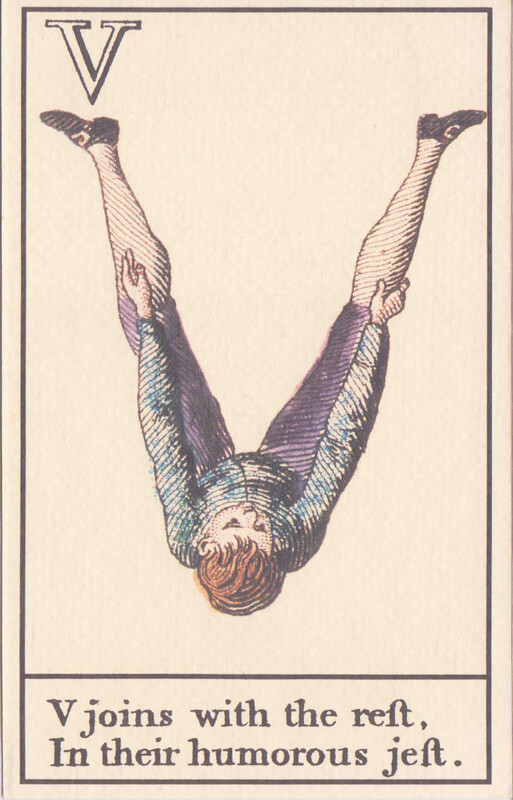 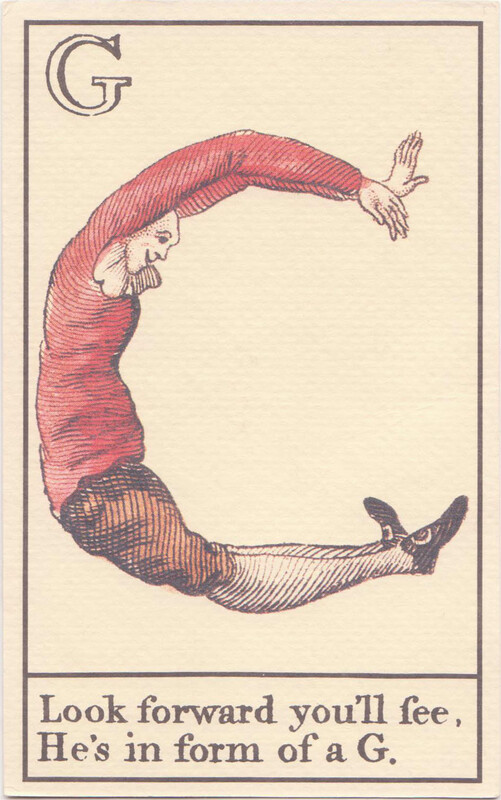 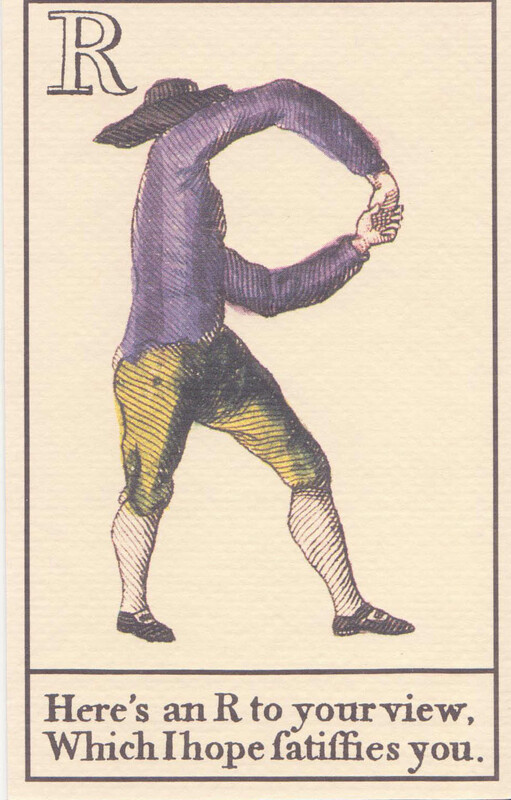 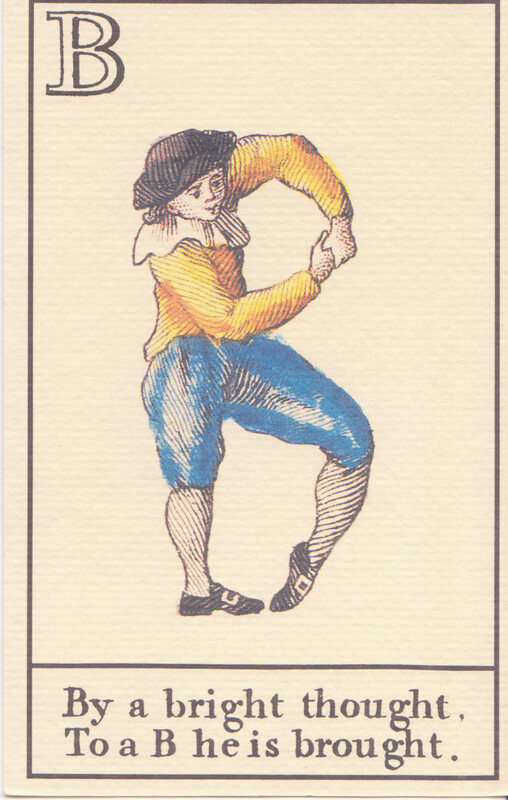 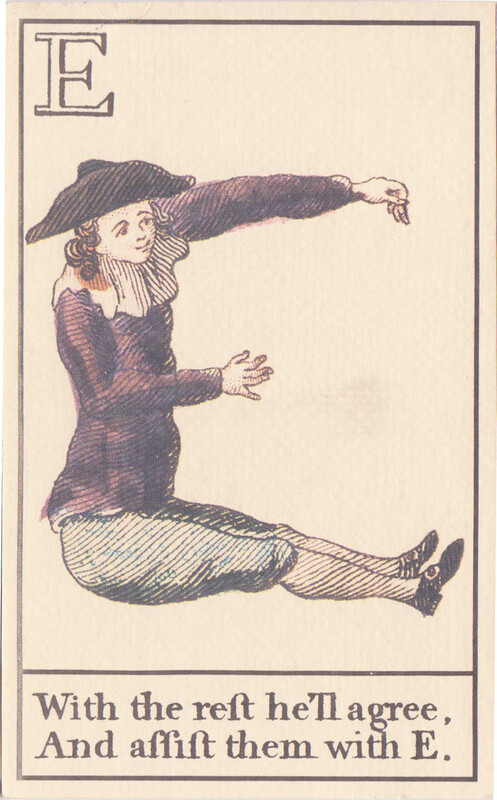 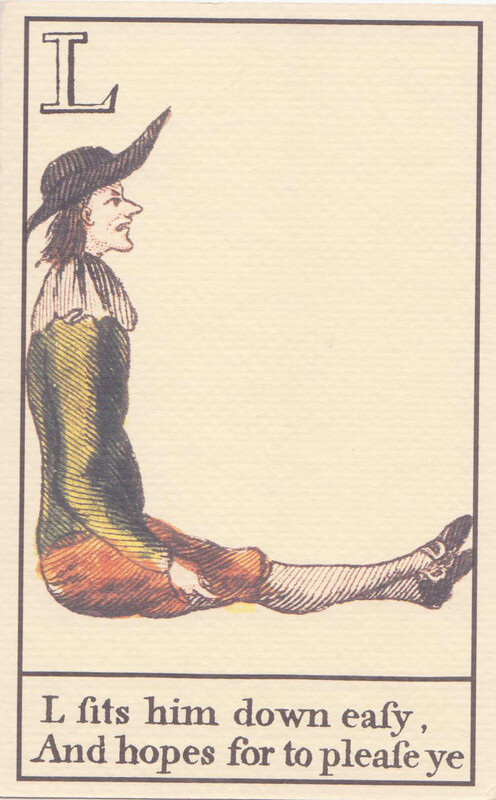 these cards are based on an alphabet published in 1782 by carington bowles. 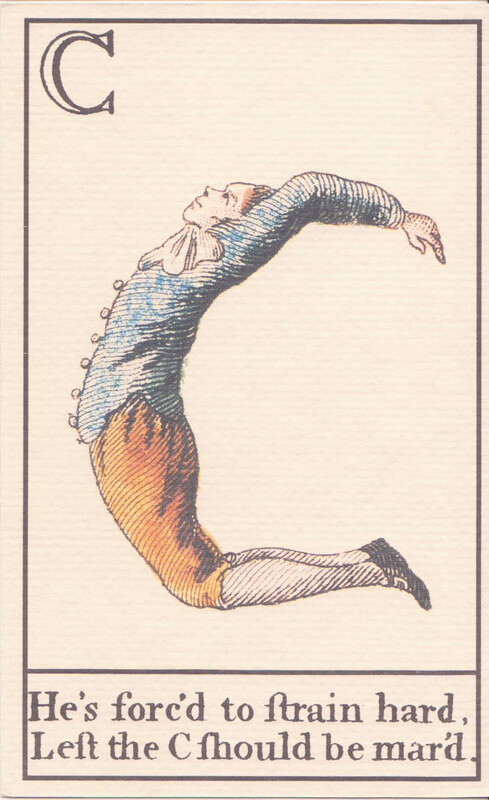 note: this alphabet contains 24 letters. 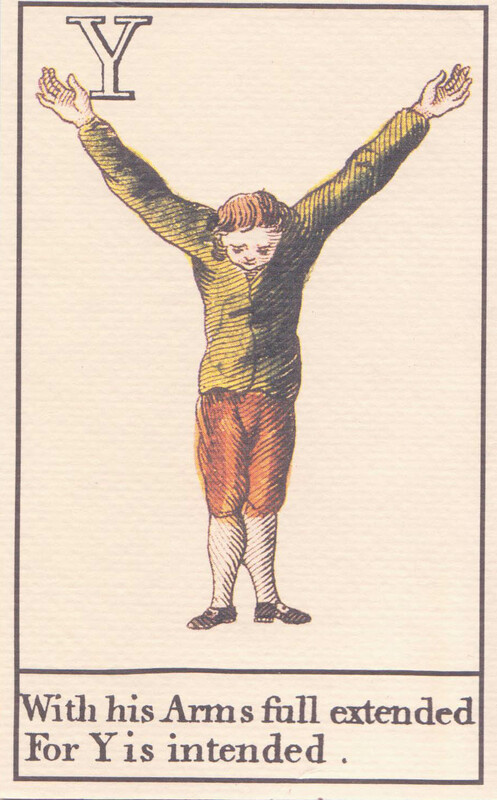 it was customary to use the letters I and V in place of J and U. 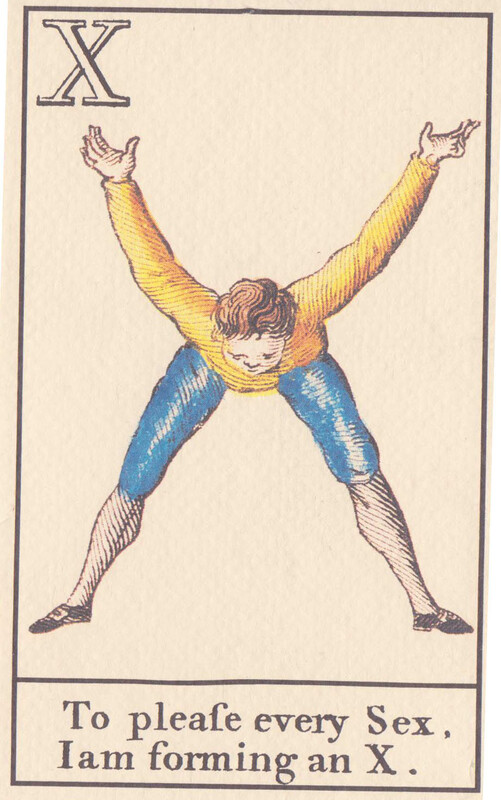 (although some writers were using J and U by this time, these weren’t used with any consistency until the nineteenth century.) 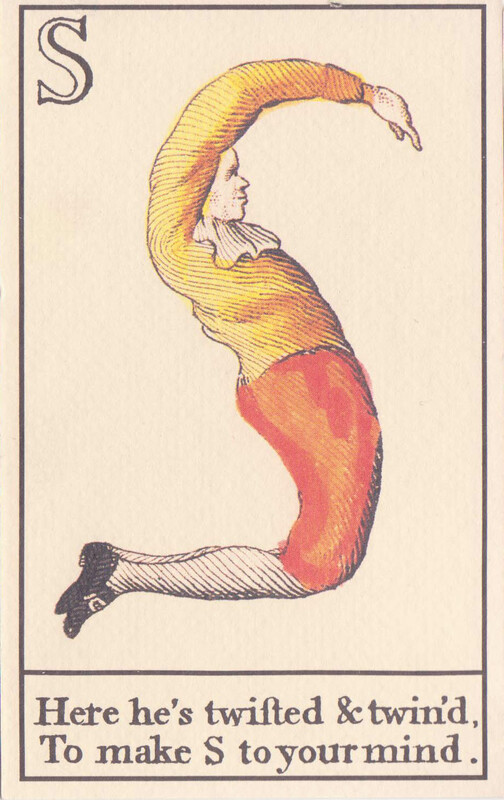 my A and N cards seem to have gone missing, also. 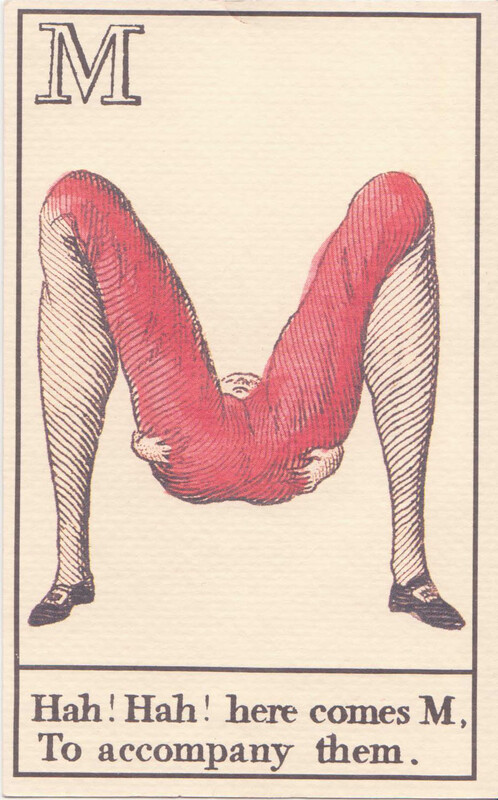 THIS IS THE GREATEST THING I HAVE EVER SEEN. 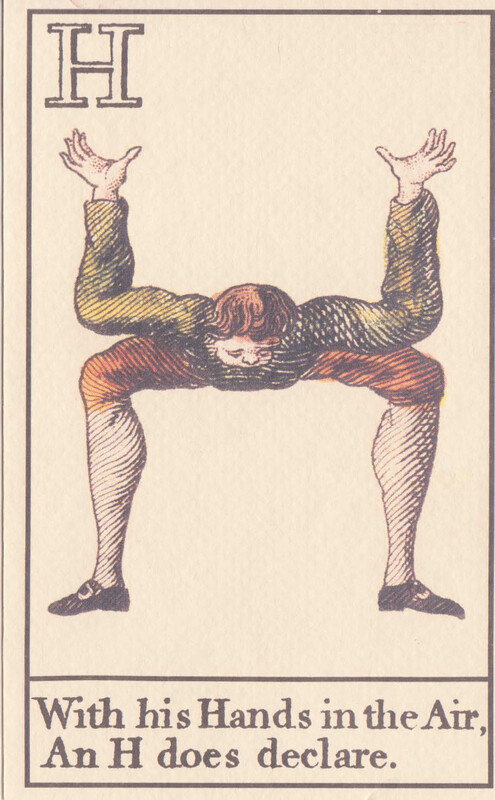 I MUST FIND A SET.